Nadja West, the U.S. Army surgeon general, talks about her days. The U.S. Army surgeon general on the increasing openness in military leadership. Photo illustration by Slate. Official U.S. Army photo provided by the Office of the Surgeon General, U.S. Army. Listen to Women in Charge via Apple Podcasts, Overcast, Spotify, Google Play, and Stitcher. 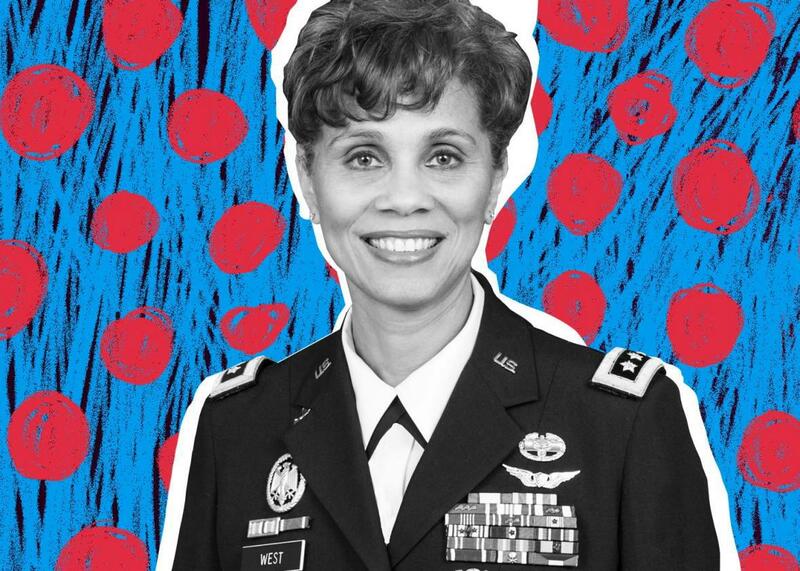 What’s it like to be the woman who runs the United States Army Medical Command? * On this episode of Women in Charge, Julia Turner talks to Army Surgeon General Nadja West. West speaks about being born into a military family, choosing medicine, and discovering her place as a leader. She also talks about the increasing openness in the military and her personal view on the importance of kindness in positions of power. Lt. Gen. West used her campaign plan and first day briefing to describe her goals, values, and leadership style to her team. The Army Medicine planner outlines the mission of the force and commemorates historical events associated with it. *Correction, Oct. 24, 2018: This post originally misstated that West runs the military branch of the U.S. Army.